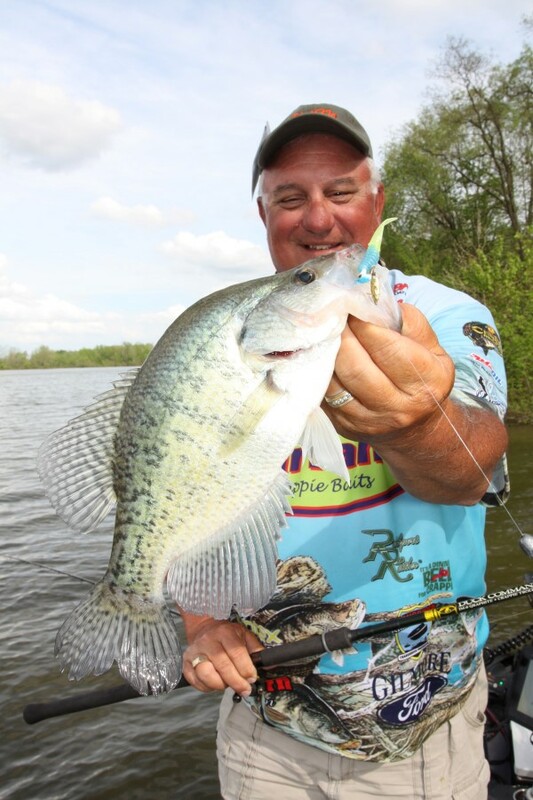 Ask a few anglers around the country to name their “favorite” crappie-catching color in a jig and you’ll probably end up with almost as many different responses as the number of fishermen questioned. 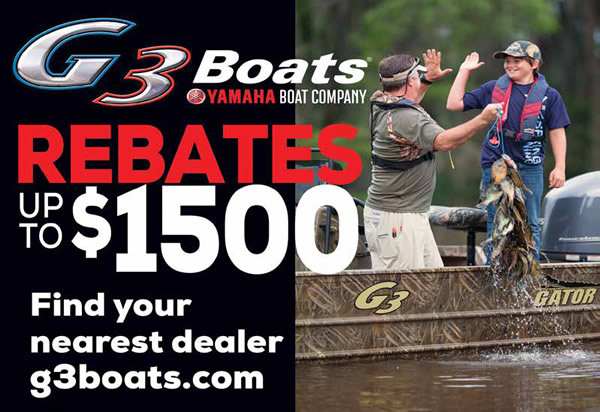 Likely their answers are based on memorable catches with a certain color on a particular lake under specific conditions. 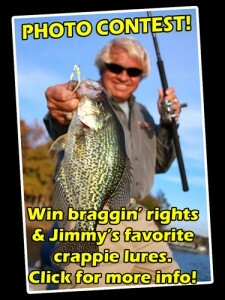 Or perhaps they choose the only color crappie jig in their box! 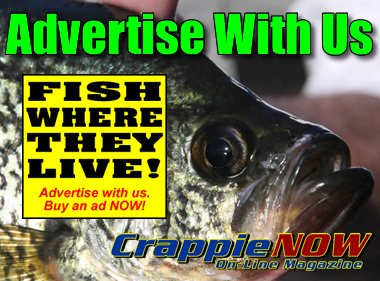 Unlike anglers, crappies don’t have a “favorite” lure color. Scientific research has demonstrated that fish have very good color vision and are able to distinguish differences in colors – even shades of the same color. Certain colors are far more visible under specific water clarity and light conditions than other colors. 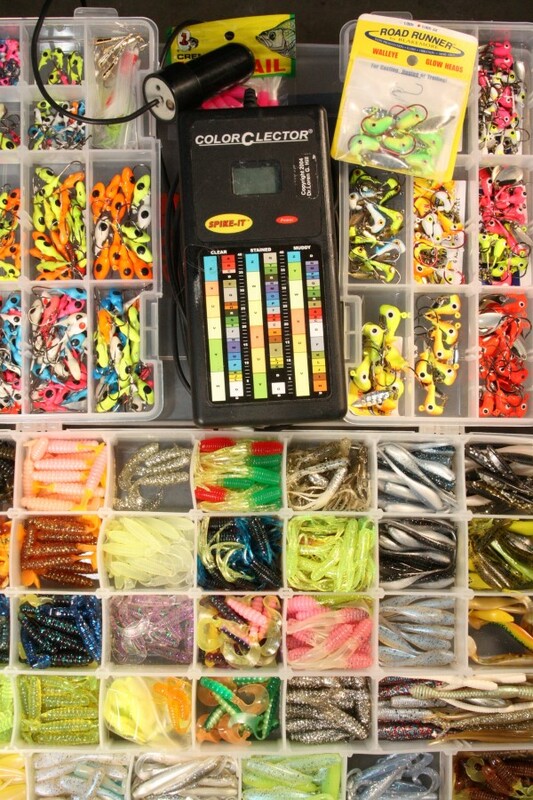 Therefore color plays a critical role in lure selection along with general shape, size and movement of the jig. How do we know what colors are best to use in a given situation? There are two general processes to consider. First, the scientific approach utilizes an instrument developed through research that reveals which colors fish can see under certain conditions. The second approach is – for lack of a better term – your gut. This is based on one’s experience over a broad range of lakes of different water clarity. Both work. The Color-C-Lector was developed by Dr. Loren Hill after years of laboratory and field experiments. It consists of a light meter on the end of a measured cable which is attached to an instrument with color bands arranged in three major groups: Clear, Stained, and Muddy, along with a number scale ranging from 0 to 40. First you determine the water color by lowering the probe into water and noting at what depth white top of the probe disappears. If you lose sight within two feet, water is rated Muddy; two to four feet, water is rated Stained; greater than four feet, water is Clear. 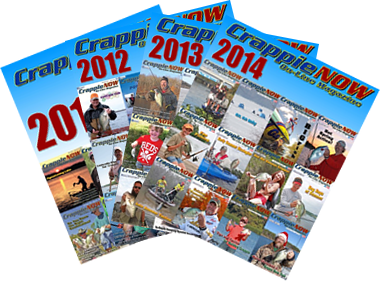 He explains that after determining the water clarity of the particular lake or river, you once again begin lowering the probe but this time stopping at the depth you believe crappies are located. With the probe at desired depth, turn on the unit. 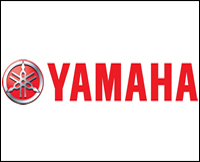 After a few seconds a digital number between 0 and 40 will appear in the window. Next pinpoint that number on the scale, and then move your finger across to the previously determined water clarity column to determine the recommended color or colors. The Color-C-Lector indicates a fluorescent color and a non-fluorescent color in separate color bands opposite each number. Dannenmueller says it is critical to check the recommendations of the Color-C-Lector when available light changes (low sun versus mid-day; sunny skies fading to overcast skies) or when you observe a change in the water color. Dan Dannenmueller special colors for specific conditions. Here’s proof that small details matter. Dave Lefebre of Erie, Pennsylvania is a professional bass angler on the Bassmaster Elite circuit. 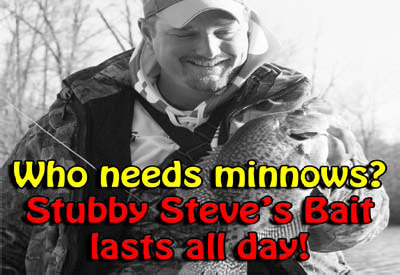 But during the offseason he is a diehard crappie angler. Lefebre often remarks that if he was not fishing the pro bass circuit, he would be on the crappie tournament trail. 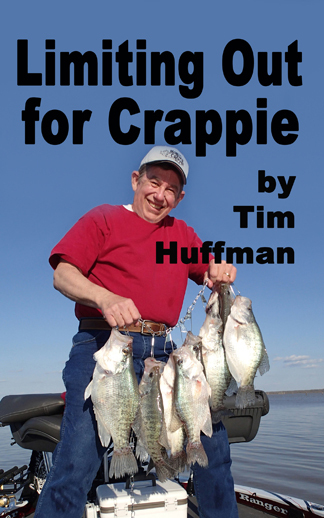 “Jig color in crappie fishing is super important to me,” stresses Lefebre, who has been chasing crappies for almost four decades. “Sure, you can catch some crappies on almost any color, but to maximize your catch you must be tuned into the best color for the conditions. My process of color selection is based around water clarity. Simply by looking at the water and lowering a lure down, I determine if the lake is muddy, dingy, algae stained or clear. Dannenmueller uses a scientific approach for finding the best color. He employs a Color-C-Lector to determine the most visible color under the given light intensity and water color. He then selects a specifically colored jighead and body to match the conditions. 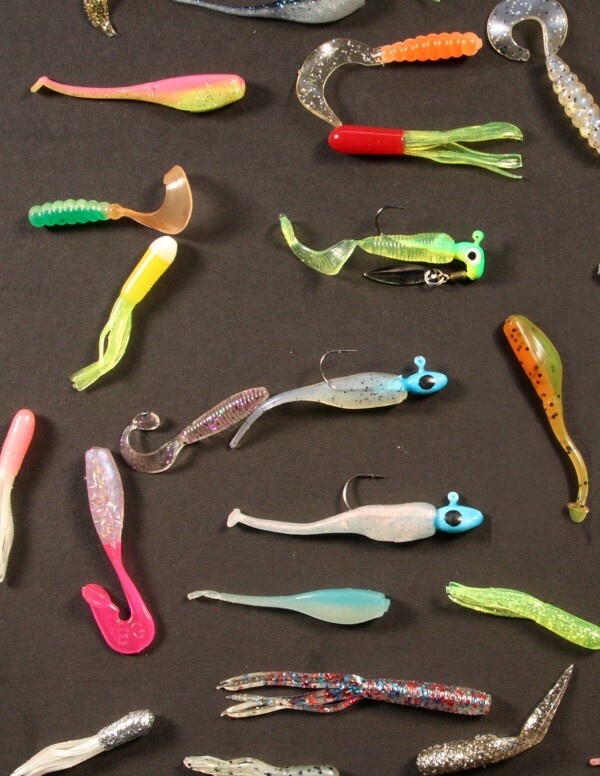 By recognizing the part that colors plays in your jig presentation allows you stock up on a wide selection of colored jig bodies right now for the coming season…not just your favorite color!